Lord Tennyson’s poem “Locksley Hall” provides the oft-quoted couplet, “In the spring a livelier iris changes on the burnished dove / In the spring a young man’s fancy lightly turns to thoughts of love.” But for us regulars of the New Beverly, we proclaim that in the spring the cameraman’s iris changes with the set electricians’ gaffs, for in the spring a film lovers fancy lightly turns to thoughts of laughs. 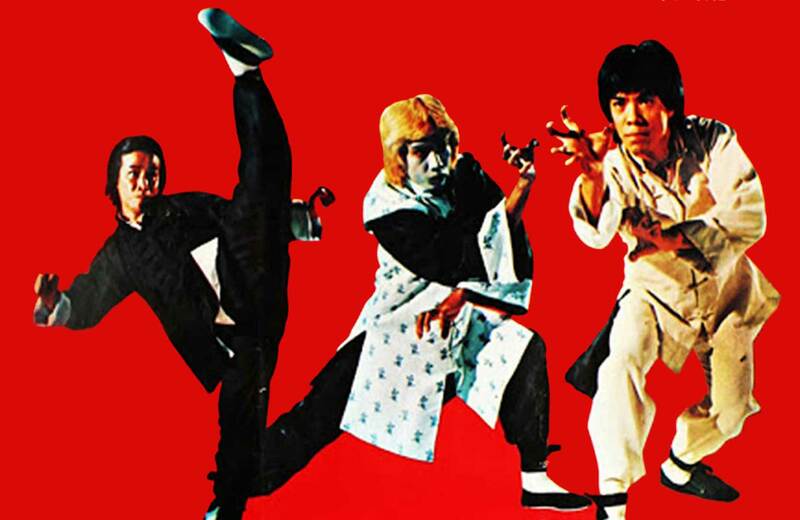 In our April and May programming, we’re revisiting the best comedic outings of some of the greatest directors of a generation. Each of these gifted filmmakers have recurring elements in their work that raised them to special notice, and these films reflect those ideas while still delivering big, funny moments that leave audiences breathless. We open our series with Jonathan Demme, who has proven his versatility in multiple styles of films, be they action-packed like Fighting Mad to social dramas like Philadelphia to the standard-bearing thriller The Silence of the Lambs that won him multiple Academy Awards. But Demme has always been at his best exploring the lives of misfits and eccentrics. And the two ‘80s era comedies we’ve chosen demonstrate this skill at its peak, and with their injection of legitimate suspense into their climaxes, you can better grasp why these are the films that led to his game-changing triumph in Lambs. Both films involve an otherwise straight-laced fellow irresistibly drawn to a beguiling woman with secrets, with him diving head first into her world while she effectively seeks a means out of it. In Something Wild, white shoe banker Jeff Daniels’ chance meeting with illusory muse Melanie Griffith unlocks a previously untapped potential for reckless behavior, initially charming but soon increasingly dangerous. In Married to the Mob, the whacking of Michelle Pfeiffer’s hitman husband gives her and her son a chance to escape living with everything “falling off a truck,” but a smitten FBI surveillance agent and her dead husband’s horndog mob boss complicate her extrication. 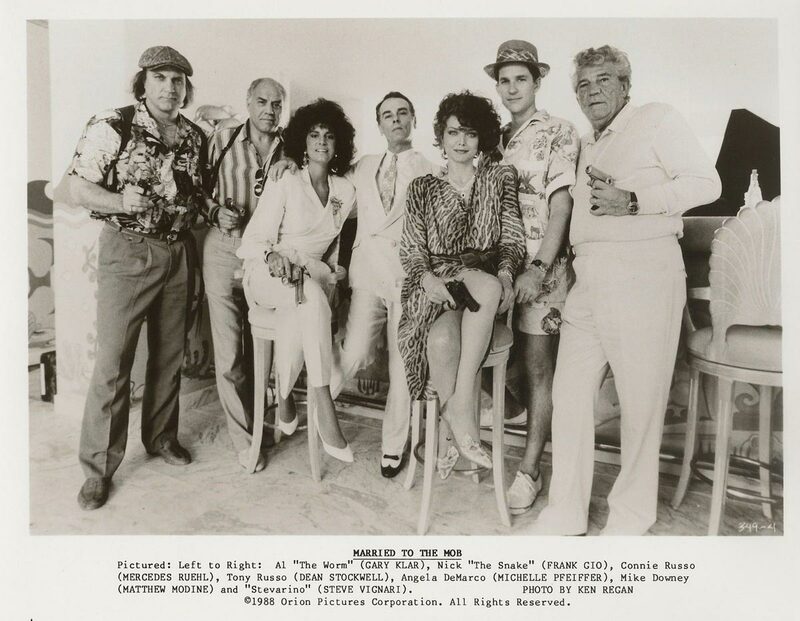 In keeping with his acuity in highlighting lives on the fringe, Demme fills both of these films with a wonderful parade of actors whose very faces suggest dense stories justifying their own movies – square-jawed Charles Napier, wizened Tracey Walter, long-and-sour Kenneth Utt (who also served as Demme’s producer and unit production manager), radiant Sister Carol East…where most films use supporting players just to prop up their stars, Demme uses them to create infrastructure. He also lets other great artists play hooky before the camera – John Waters and John Sayles cameo in Wild while Todd Solondz and Chris Isaak pop up in Mob. It’s not too far off to suggest that the embrace of unconventional stories that dominated arthouse and mainstream film of the ‘90s received a head start thanks to the world-building of Demme in these two late ‘80s favorites. And one of those ‘90s filmmakers will be featured not too long afterward! The following week, we go back to revisit the late Paul Mazursky, the New York-nurtured and California-blossomed chronicler of, as Roger Ebert once summarized it, how outwardly well-off people deal with the dilemma of personal freedom. The two films we’ve paired up, Bob and Carol and Ted and Alice from 1969 and Down and Out in Beverly Hills from 1986, are particularly linked in that their characters’ sexual idiosyncrasies lead to an even deeper ideal of seeking truth from life, and some awkward feelings that arise once it’s found. In Bob and…, a weekend spent with an encounter group lead one couple to expound with complete candor about their extramarital desires, to the alternating revulsion and curiosity of their married friends. In Down, a wealthy family riddled with personal hangups are upended when a suicidal transient is brought into the household and takes on a guru-esque presence. Though the premises of these Mazursky films certainly portend wild comic possibilities, they also lead to unexpected, empathetic territory as well. Bob and Carol are enjoying the happiest days of their marriage through their new behavior, and honestly believe that Ted and Alice could have that same good feeling if they adapted it, but at the very least, they want to be seen with the same acceptance as they see each other and the world. Meanwhile, the drifter at large in the mansion also provides everyone in his orbit fresh motivation to own the secrets they’ve sat on for so long, in the hope that if he’ll accept them, why not everybody else? Mazursky once observed, “I don’t like movies that are morally simple. I don’t think I have it in me to make a movie in which all the situations and relationships are black and white. I get into the gray areas…Even when I begin with a situation that’s basically funny or sad, I like to keep poking around in it. I like to get into the middle of a relationship, to explore the subtle places.” It is this philosophy that means for as much as you will be amused by these misguided awakenings of the beautiful people, you will also care about their struggle too. It’s fun to note that the success of both of these films led to TV sitcom spinoffs. It was certainly admirable of network executives to recognize that Mazursky had created such fun characters, and believe that people would want to spend more time with them. Mazursky himself, with his Bob and… writing partner Larry Tucker, developed “The Monkees” TV series, and knew a lot about inventing folks you wanted to be around for the long haul. Unfortunately, Mazursky was not involved with either show, and much of the original appeal of their source stories could not be carried over to a weekly format, especially considering the sexualized nature of the relationships, and both shows only lasted a single season. As Mazursky was one of the great discoveries of the ‘70s, appropriately, our last April combo in this series is devoted to of one of those prominent leaders of the ‘90s indie film movement, Richard Linklater. Perhaps the strongest takeaway from Linklater’s resume is his ability to show life moments that don’t call attention to themselves as being plot points. Even if the structure or premise of the story is familiar, you get the sensation that everything is spontaneous, to the viewer as well as to the characters. And it’s only looking back in hindsight that everyone recognizes the special nature of those deceptively ordinary incidents. We’ve picked one of his earliest critical breakouts and combined it with his biggest box office hit to give you two different tastes of his approach. Dazed and Confused is his terrific reverie on Texas teenagers on their last day of school in the summer of ‘76, and how 24 hours of rambling, hazing, and partying hint at the their priorities and their potential trajectories. School of Rock is his more madcap romp with Jack Black wrangling talented tweeners into a rock’n’roll outfit capable of grown-up competiton. Music in fact is a huge and stirring connective element in all these April offerings. Mazursky uses the classic Burt Bacharach / Jackie DeShannon single “What the World Needs Now is Love” for extremely poignant effect in Bob and…, and bookends the start and finish of Down with a live recording of Talking Heads’ “Once in a Lifetime,” taken from the concert film Stop Making Sense…which just happened to be directed by Jonathan Demme! 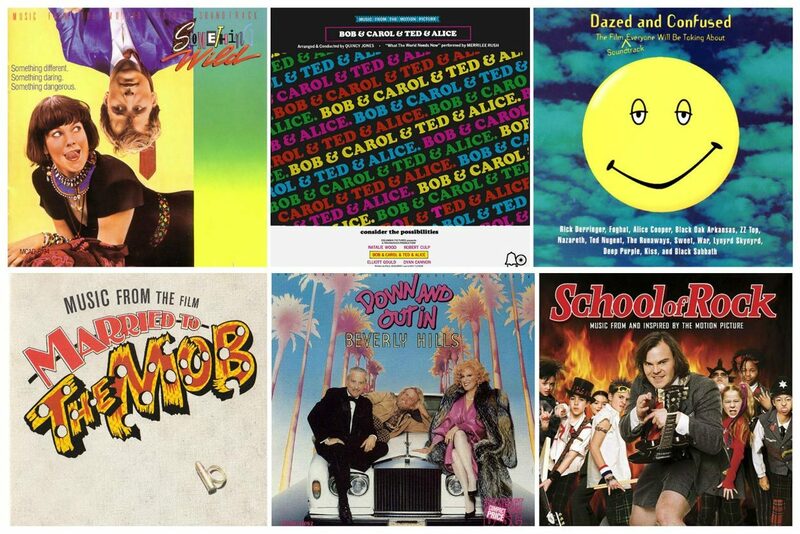 Demme’s soundtracks for Wild and Mob, supervised by his producer Gary Goetzman, contain a spectrum of eclectic artists and styles, and to this day are still must-have albums for any college-radio loving cool cat. Q. Lazzarus’ “Goodbye Horses,” immortalized in Demme’s Silence, was in fact first featured on the soundtrack of Mob. And Linklater inherently knew you can’t make a movie about teenagers and not give it a great playlist. $1 million of his $6 million budget on Dazed was spent on song clearances alone, and the surprise success of its first tie-in album led to a second with more deep cuts from the film. 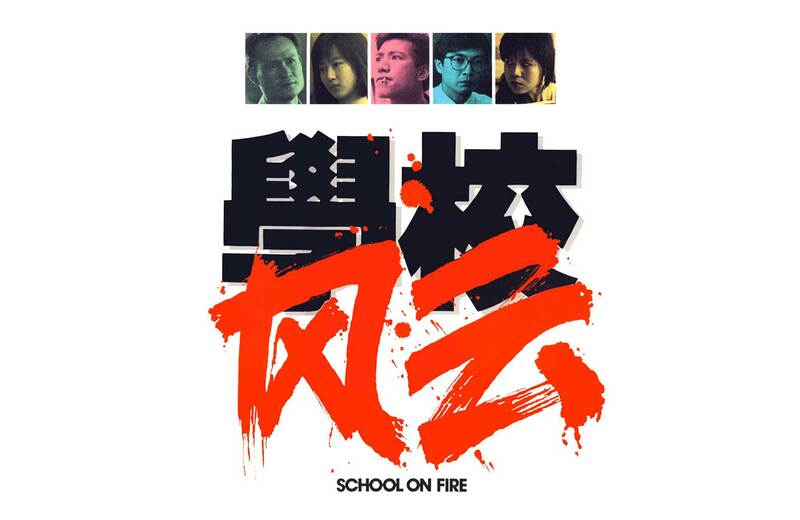 School mixes classic rock staples with modern artists, and the title track was co-written by Sammy James Jr. from the band The Mooney Suzuki, who also provide back-up for the real child musicians performing the song. In short, watching these movies won’t just make you laugh and want to see more from these directors, you may end up splurging for lots of tunes afterward. 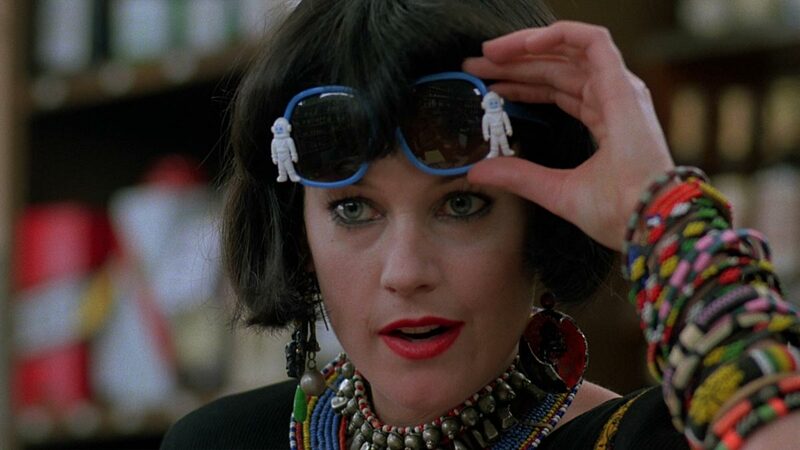 Jonathan Demme’s Something Wild and Married to the Mob play Wednesday and Thursday, April 19th & 20th. 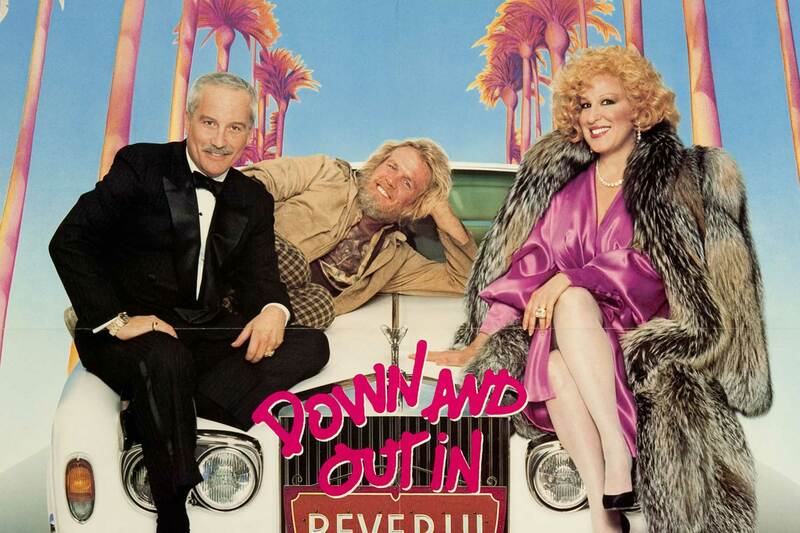 Paul Mazursky’s Bob and Carol and Ted and Alice and Down and Out in Beverly Hills play Wednesday and Thursday, April 26th & 27th. 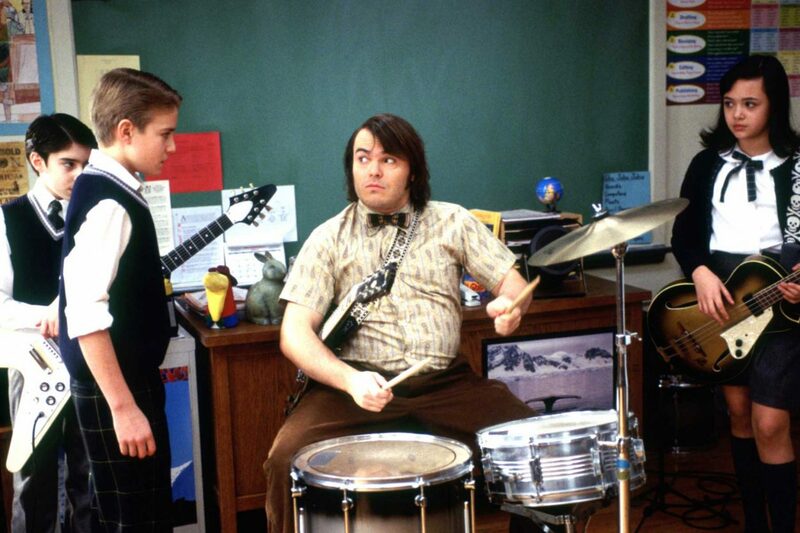 And Richard Linklater’s Dazed and Confused and School of Rock play Friday and Saturday, April 28th & 29th. And after you enjoy these pairings, you’ll be quite happy with what we’ll be following this up with in May. Start your breathing exercises now, because you’ll be giving your lungs a workout from laughing!